Chain-link fence fencing as opposed to ornamental or metal fencing has a tendency to be the most economical style of fencing. The materials are long-lasting and can also look good. 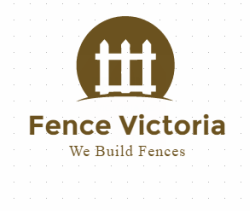 There is a variety of materials and types of chain link fencing so it is essential to look at what you need your fence to do before choosing the materials. A light fencing fabric may not be strong enough for an industrial application but may work great to keep the dog in the yard. Most home owners we deal with who buy chain link wish they would have gotten a stronger fabric so make sure to discuss that with our fencing experts. Choosing the right mesh size is important as it tells you how much steel will be in your fence. The largest size is 1 3/4 inches, which is the common size a tennis court fence will use. For a residential application you would probably want to use a 1-inch mesh. You can also choose if you want the mesh to be parallel or diamond shape. The best types of fencing is coated in zinc (galvanized), but you can find chain-link with polyester or vinyl color coatings. The colors can make your fence look nice with your landscaping and provide protection against rust. Next you are going to need to choose the framework of your fence. As with the fence fabric you are going to need to decide on a few things. First is the gauge or thickness of the steel, the diameter of the pipe and the type of coating. We recommend a gauge of 20 for a common residential application. The steel should have a minimum yield strength of 45,000 pounds per square inch. Be careful in choosing your steel as some manufacturers who are not domestic are not going to be in compliance with north American standard's. The diameter of your pipe is important due to the strength of the pipe. A common diameter is 1 3/8 inch. A medium-duty fence will be 3-4 foot high with top rails at 1 3/8 inch and 16 gauge, while the line posts will be 1 5/8 inch with terminal posts at 1 7/8 inch. Your fence post coating is also important. The most widely used is the inline flow coat galvanized. Last but not least your chain-link fence needs to have the proper fittings. As they say the chain is only as strong as the weakest link. Make sure to use steel fittings that are hot dip galvanized to prevent corrosion. Now that you have a better understanding of how to choose a chain-link fence, it's time to install it. Installation can be a time-consuming and technical process. So let us do that hard work, and enjoy your weekend with your spouse and loved ones. If you have any questions feel free to call us or if you would like to go ahead and get a quote we are standing by to help you with your next project.